The best thing about beaches in Miami is that all of them are open to the public. 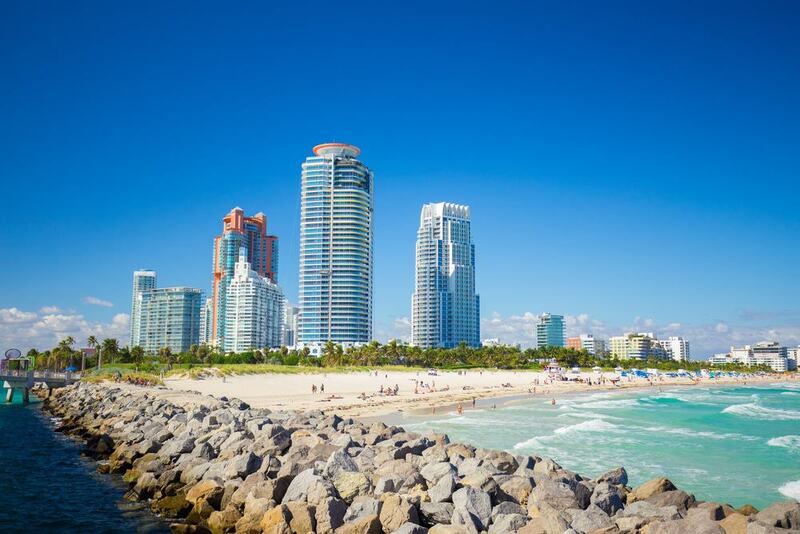 Whether you are searching for an isolated destination or want to spend a day at a busy tourist beach, Miami caters to all tastes and offers a variety of beaches to choose from. Some beaches in Miami are decorated with palm trees that provide a shady oasis, while others are perfect for that summer golden sun tan that you might be hoping to achieve. The one thing that all of these beaches have in common is their stunning natural beauty. 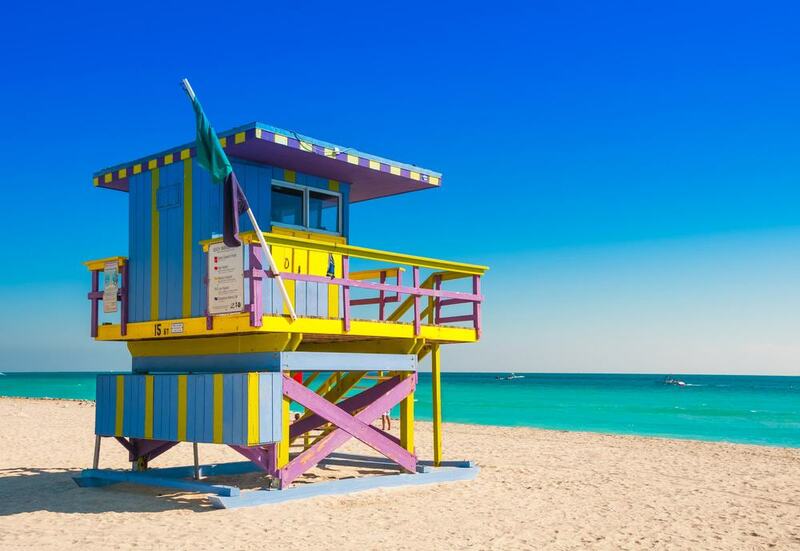 Most of the beaches in Miami feature trained lifeguards to ensure everyone is safe while in their care. The strong winds and tides can get pretty dangerous, so lifeguard stands have a flag system that warns visitors about the sea conditions. You will also find dozens of designated public parks that stretch along the shore and feature all kinds of facilities including restrooms, picnic areas, and on-site grills. 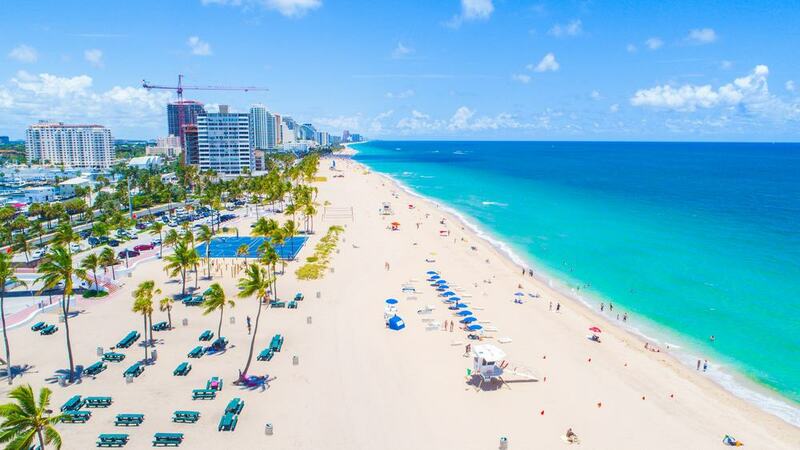 In case you get bored of lying in the sun, beaches in the Miami area offer plenty of water activities and are close to restaurants, bars, and various other attractions. 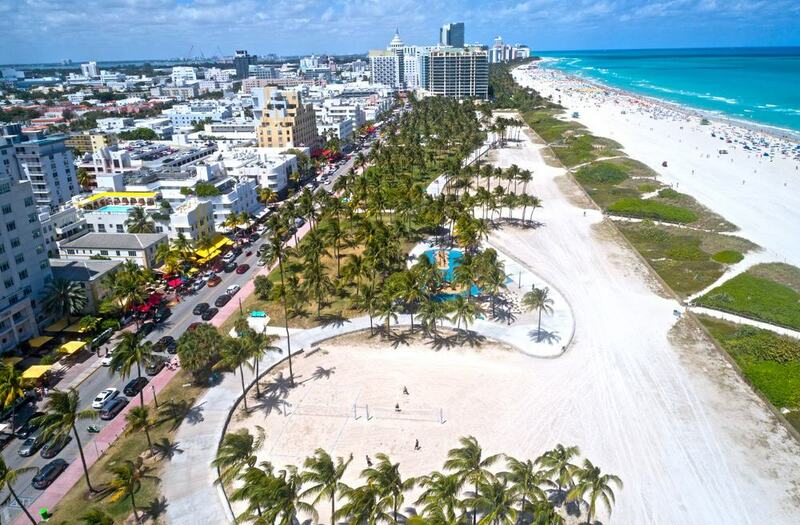 Located on the eastern side of Ocean Drive, Lummus Park Beach is a perfect destination for people-watching, volleyball, and sunbathing. This park beach was redesigned in the mid-1980’s and features grassy areas with pull up bars for the active and palm trees for shade seekers. Walk along the beautiful promenade that separates the grass from the beach and have lunch at one of the many restaurants on the boardwalk. Lummus Park Beach is also a popular place to photo shoots and even filming. Scenes from shows like Miami Vice were shot at this location. There are dozens of lifeguard stands along the beach and facilities including showers and toilets. South Pointe Park Pier is part of a 17-acre park with a playground, fishing pier complete with washing stations, and several picnic areas. It’s a lovely place if you want to get away from all the hustle and bustle of downtown Miami. It is surrounded by the Government Cut channel and the Atlantic Ocean and offers various facilities such as outdoor showers, a couple of great restaurants, and a children’s playground to keep the kids entertained for an hour or two. Bring your camera because vacationers can enjoy the spectacular views of nearby Fisher Island and Biscayne Bay which are picture perfect on a clear day. For those looking for snacks, purchase a bag or two of tasty crab claws during the crab season. In case you are searching for a small beach town vibe, head out to Surfside that has around 6,000 residents, making it a small oceanfront community. The beach attracts both locals and tourists and offers plenty of entertainment options for visitors, including the Surfside Community Center which houses one of the best water parks in the city. Vacationers will be happy to hear that lifeguards are on duty during the summer season and there is a picnic area right on the beach. Expect to mingle with the locals who come here to listen to live music, chill on the beach, and have drinks at one of the nearby bars. One of the most scenic beaches in the city, Haulover Beach features landscaped dunes, a couple of picnic areas, and dozens of lifeguard towers. 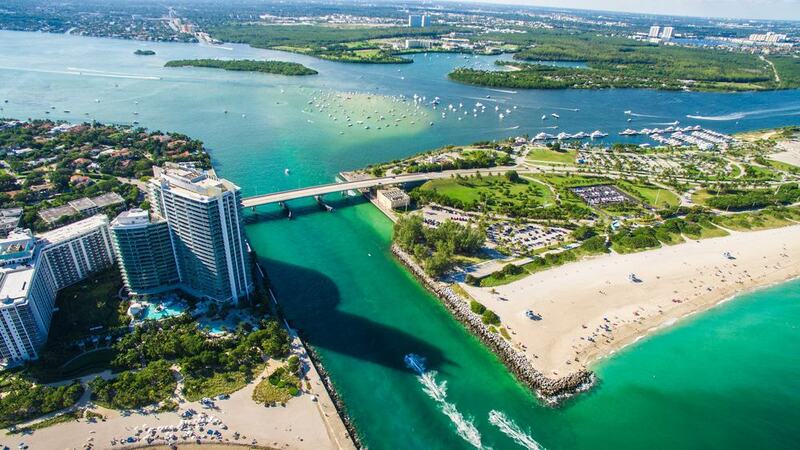 Haulover Beach is located right between Sunny Isles and Bal Harbour and it’s stunning landscape attracts travelers from all around the world. Vacationers who are looking for a ‘clothing optional beach’ will be happy to hear that there is one to be found here at Haulover Beach. If you are planning to visit Haulover Beach on a Tuesday, expect to find a small food truck festival with local vendors and live music performances. Surfers also love this beach when the currents are strong, providing ideal conditions for surfing. 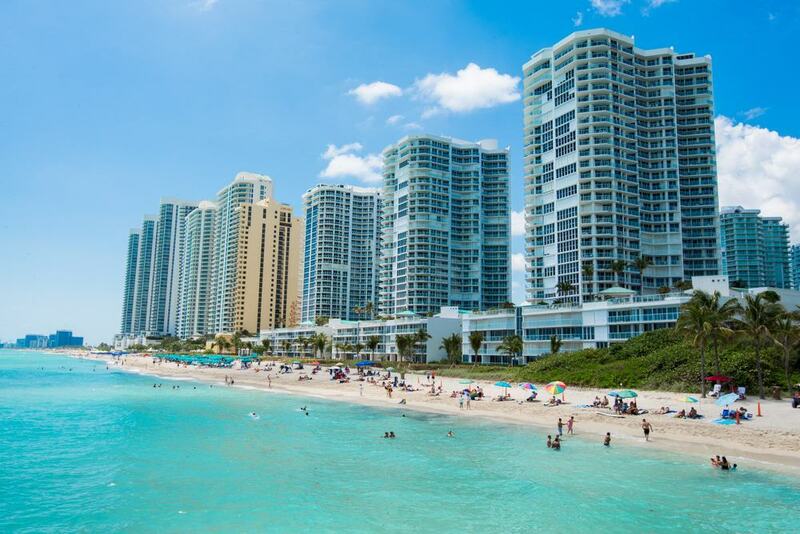 Located beyond Haulover Beach Park and north of Miami Beach, Sunny Isles Beach consists of two miles of public beaches, upscale hotels, and dozens of souvenir shops. This area used to be a low-rent beach community, but today is home to the Trump International Beach Resort and similar luxury beachfront properties. Sunny Isles Beach is also famous for its world-renowned restaurants, theatres, and nightclubs. The oceanfront location offers easy access to other kinds of attractions too, including museums, sports stadiums, tennis courts, and shopping malls. 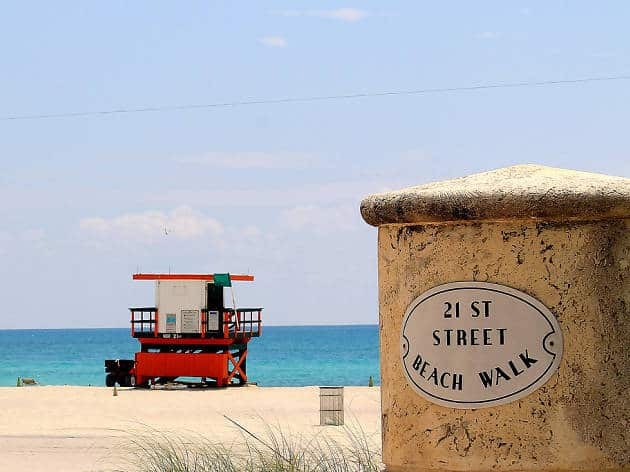 21st–45th Street Beach features a small stretch of sand and is located just a short walk from some of the most luxurious hotels and beach clubs in Miami. At the entrance to the beach you will find a small art deco snack shack and several shower facilities. The good news is that there is a large parking lot close to the beach and costs only $1.50 per hour. If you are searching for a place that is easy to get to and doesn’t attract large crowds of visitors, 21st–45th Street Beach is definitely worth checking out. There is also a fantastic jogging trail in the vicinity of the beach in case you were planning to go for a morning run. 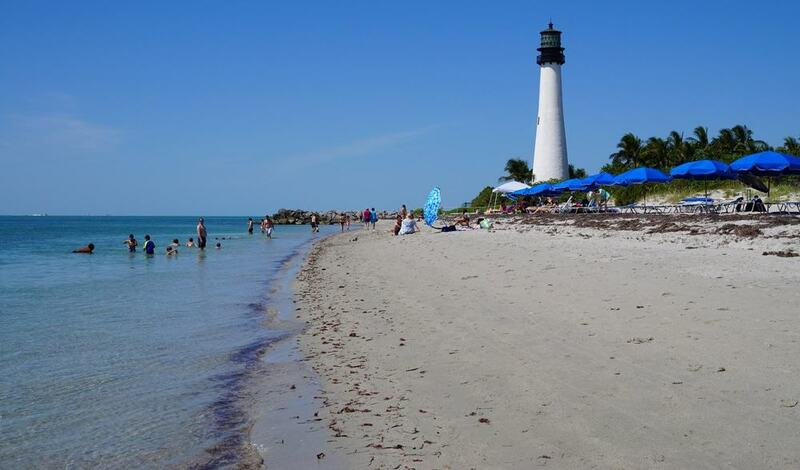 Located on the southern side of Key Biscayne, Bill Baggs Cape Florida State Park features several pretty beaches that are often found on many travel magazine lists of “best beaches”. 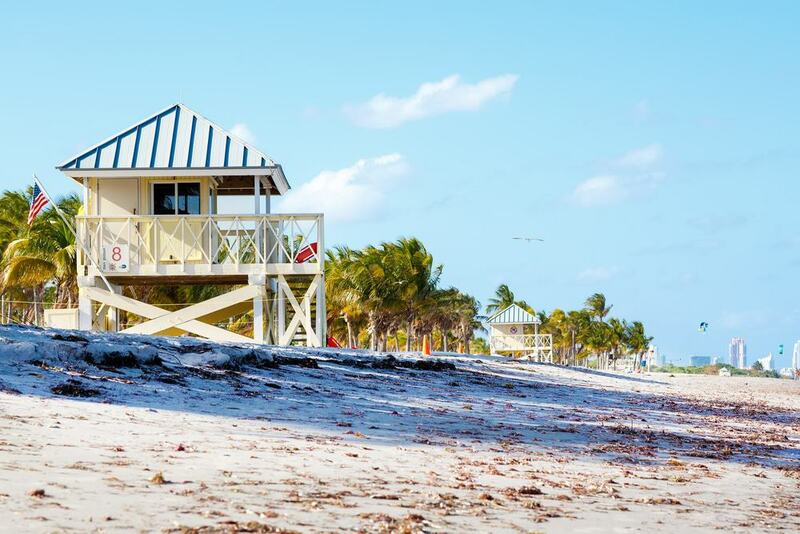 Besides lying on the beach all day long, you can explore the neighborhood and check out some of the attractions including the Cape Florida Lighthouse which is the oldest building in all of South Florida. Those who like water activities can go fishing, windsurfing, and kayaking. 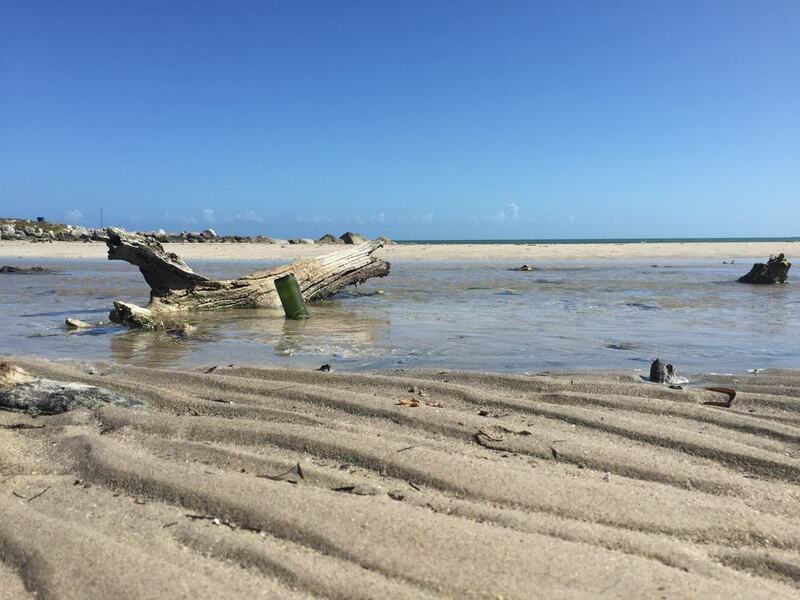 Thanks to its secluded location on Key Biscayne, Bill Baggs Cape Florida State Park offers an ideal place for vacationers looking for some peace and tranquility. One of the greatest park treasures in Miami, Crandon Park is located on Key Biscayne and is famous for its crystal-clear and shallow waters. It’s a perfect destination for families with kids and features a winding boardwalk, nature center, and a family amusement center. However, the beach is still the main attraction here at Crandon Park. You can play a game of beach volleyball or have a feast of a picnic by using the on-site grills. Those who wish to rent a cabana should go to the south end of Crandon Park Beach where showers and parking spots can also be found. Fort Lauderdale Beach can be best described as a sandy strip with a lovely promenade that is perfect for cycling, skating, and jogging. Here you will find tall coconut palms and amazing blue ocean views. This is probably the best place for people-watching because of the luxury properties dotting the coastline. Fort Lauderdale Beach used to be a college area, but has transformed into one of the most chic beach destinations in Miami. Vacationers will find lifeguards on duty here during the high season and all the basic facilities like showers and toilets. The largest urban park in Florida, Oleta River State Recreational Area is situated on Biscayne Bay and offers a perfect getaway from the busy streets of downtown Miami. You will have a chance to enjoy miles of walking paths, dozens of bike trails, and secluded beach spots. Canoe and Kayak rentals are available for exploring the area and there are picnic tables with on-site grills available. In case you wish to spend a whole weekend here, there are cute cabins for rent with some offering ocean views from the bedroom! Some of the other popular activities at Oleta River State Recreational Area include saltwater fishing, off-road bicycling trails and a visit to the mangrove forest which preserves a variety of plants and wildlife. 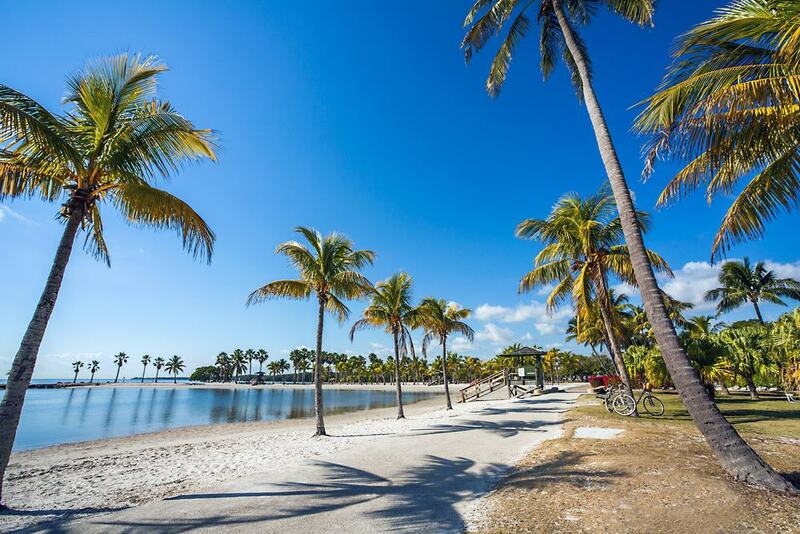 Located just south of Coral Gables, Matheson Hammock Park is well-known for its natural landscape of swaying palms, mangroves and old oak trees. Things to see include the man-made atoll pool, the picturesque marina, and of course, the spectacular beach which is perfect for various water activities such as kiteboarding and paddleboarding. In case you get hungry, have lunch or dinner at the amazing Red Fish Grill which is located on the water’s edge. Then to walk off those large fish portions, enjoy a hike at one of the several nature trails that wind through the popular landscape. 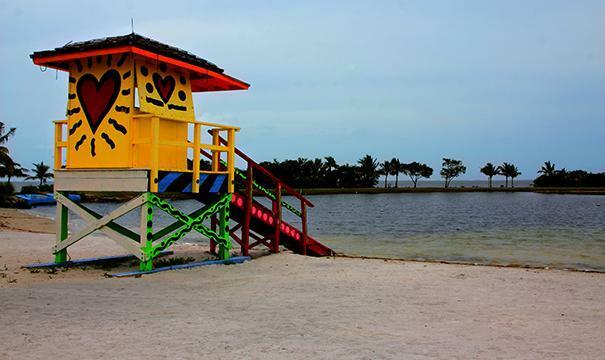 A boating and sailing school can also be found at Matheson Hammock Park. One of the most beautiful stretches of surf and sand in Miami, Virginia Key Beach is ideal for travelers who enjoy swimming and lazing in the sun. It attracts both locals and tourists who get carted around by the miniature train that was built specifically to transport travelers around the whole area. A quirky antique carousel still remains on-site and the beach is often used for various events such as live music and fun fairs. There’s even a pavilion with a dance floor that can be hired for private events. While we’re on the subject of rentals, there are several shelters dotted along the coastline that can be hired for the day. Virginia Key Beach is usually busy with parents and children due to the two large playgrounds that kids seem to love. For all those travelers who are looking to find a place far away from large crowds of tourists, we recommend heading along Collins Avenue to 85th Street Beach. 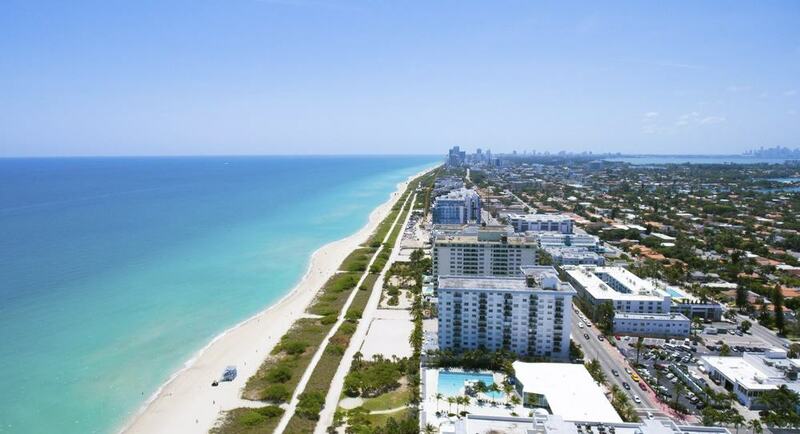 Did you know that this is one of the only stretches of sand in Miami that has no condos or hotels? This is one of the main reasons why vacationers who wish to get away from the loud and overcrowded beaches of Miami come here to unwind. There are not a lot of facilities here apart from a couple of restrooms, so make sure to bring with you everything you need for the day, including drinks, food and beach accessories. But still, lifeguards patrol 85th Street Beach during the summer season. One of the most popular beaches in Miami, South Beach is definitely a place to be seen due to the many celebrities calling it their favourite. It is located on Ocean Drive, right across the street from some of the most famous nightclubs in Miami. This trendy beach attracts all types of travelers who come here to check out the historic Art Deco architecture and dine at some of the best restaurants in the state. Don’t forget to head out to the nearby Haulover Park which is a great place for bicycle rides, tennis, golf, and fishing. South Beach accommodation is not the most budget friendly, so budget travellers are best staying elsewhere and travelling in for the day. Vacationers who are not into the tourist scene will find that Homestead Bayfront Park and Marina is a perfect place to spend a day or two. It is located just north of Florida Keys and offers plenty of water activities such as boating and swimming. Unwind with a drink at the lovely palm-shaded beach and snack bar or take a boat shuttle to Elliott Key, which is a nearby island highly popular among campers. Thanks to its tropical setting and the full-service marina, Homestead Bayfront Park and Marina is definitely a beach destination worth visiting in Miami.